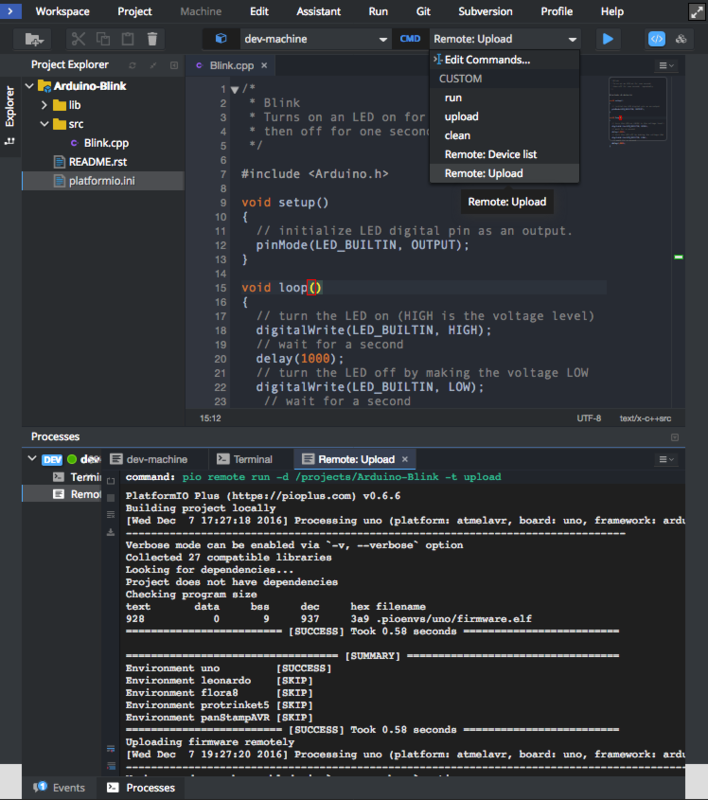 Eclipse Che is an open-source Java based developer workspace server and cloud integrated development environment (IDE) which provides a remote development platform for multi-user purpose. The workspace server comes with a RESTful webservice and provides high flexibility. It also contains a SDK which can be used to create plug-ins for languages, frameworks or tools. Please make sure to read PIO Remote guide first. You need PIO Account if you don’t have it. Registration is FREE. You should have a running PIO Remote Agent on a remote machine where hardware devices are connected physically or accessible for the remote operations. See PIO Remote Quick Start for details. Sign in to Codenvy (based on Eclipse Che). A registration is FREE and gives you unlimited private projects. Click on “Add Workspace”, then switch to “Runtime” tab. Click on “Create” button, then “Open”. Using opened Terminal, please log in to PIO Account using platformio account login command. 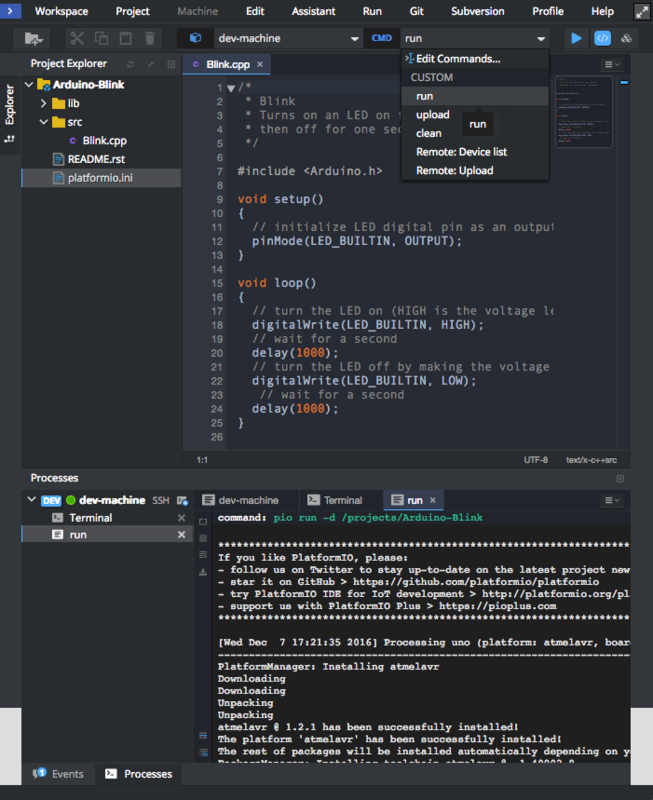 Click on Menu: Workspace > Create New Project and select platformio-arduino-blink sample. 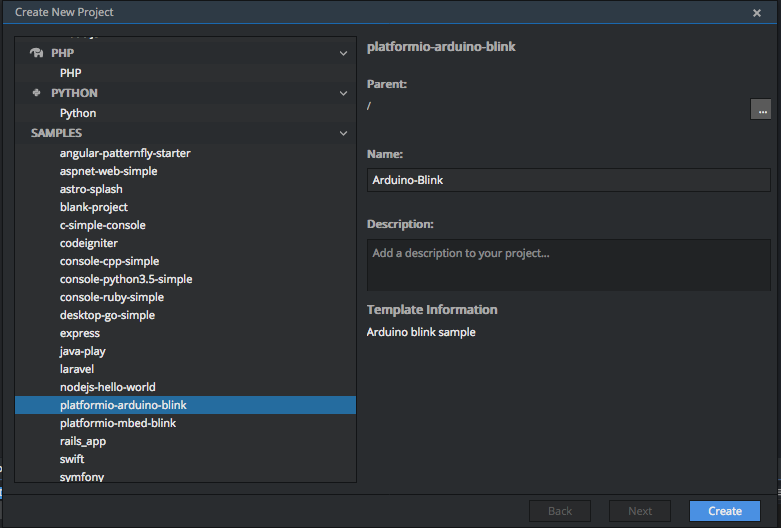 Set “Name” to “Arduino Blink” and press “Create”. 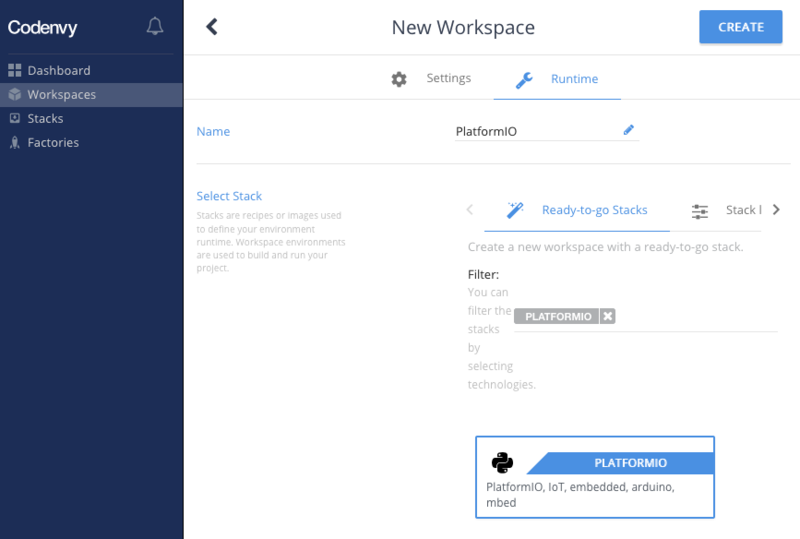 See documentation for platformio remote run --project-dir option.